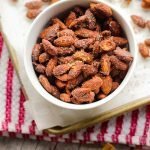 These sweet and spicy churro almonds will remind you of summer fun at the local fair. Have you ever had a churro? Popular in Latin America, these crunchy, tender sticks of fried dough are rolled in cinnamon and sugar. They will definitely take you back to your childhood. But as an adult, I need a healthier snacking option. What better way to enjoy the sweet and spicy coating on a churro than on an almond. Almonds pack a ton of health benefits in one small nut. In addition to being good for your heart, they’re high in protein and are chock-full of vitamins and minerals. I love them in my granola and on my salads but I also like them as is – salted, chocolate coated, sweet or spicy. 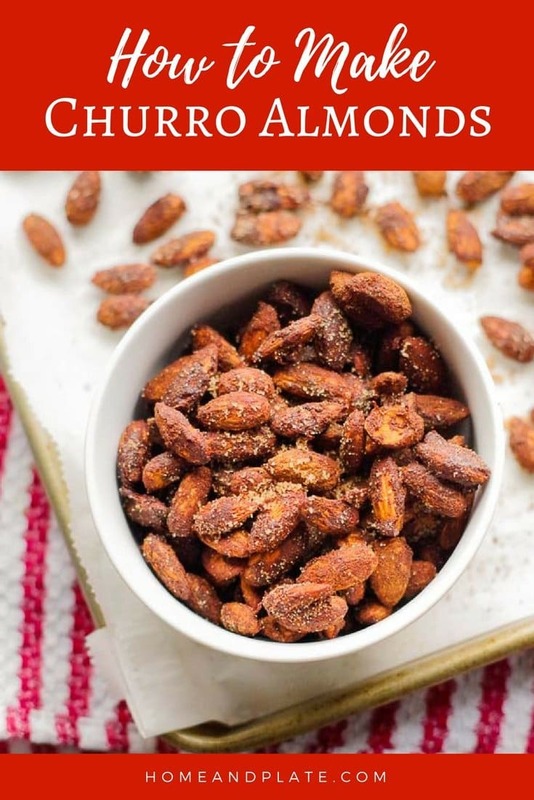 A handful of almonds are a great way to stay satiated for a long period of time. They are the perfect afternoon snack. It’s cheaper to make them at home than it is buying them prepackaged at the grocery. This way you can regulate the coating using ingredients you already have in your pantry. For this recipe, cinnamon and sugar are necessary ingredients. I also sprinkled in a bit of cayenne pepper and vanilla extract. Stevia or coconut sugar would be good alternatives to granulated sugar if you want a healthier option. I simply wet down the almonds with water before coating with sugar and spice. I have also dipped almonds in frothy egg whites or honey when using courser types of sugars or salts. 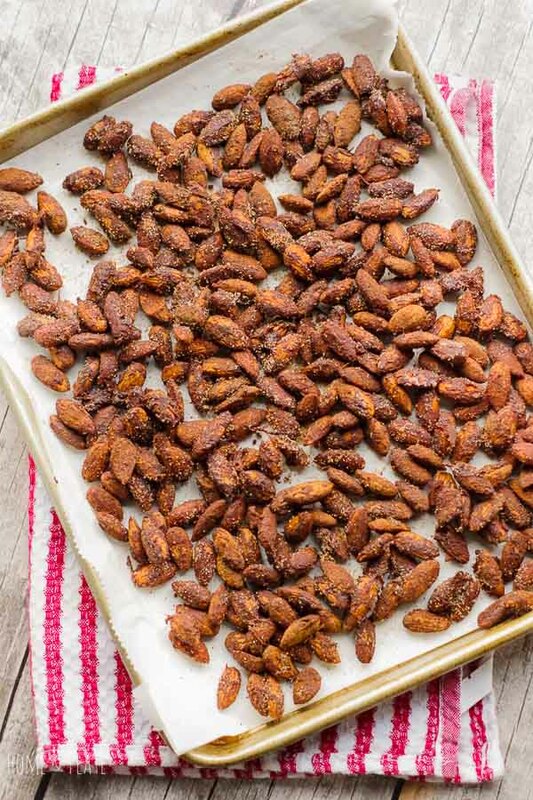 I roast almonds all year long but this recipe is especially nice to make over the holidays. It makes a great homemade gift when prepared and packaged in a festive tin. 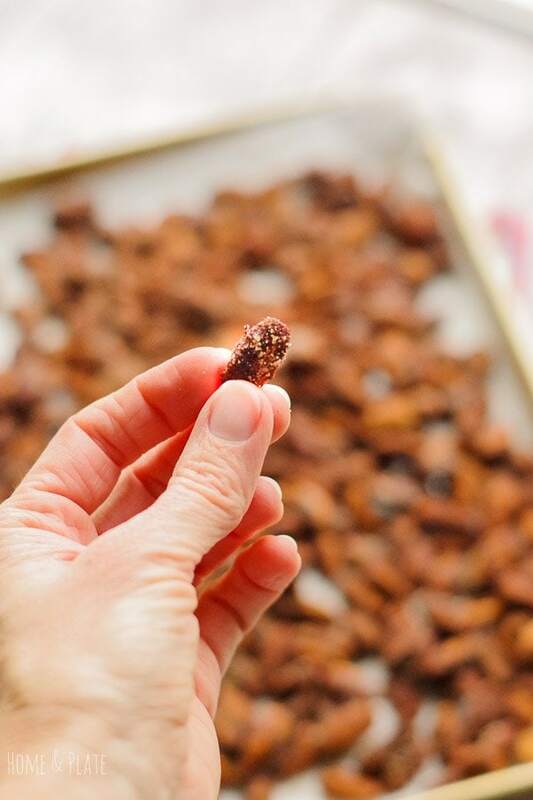 Want to learn how to make these Churro Almonds? Pin them to your Snack or Holiday board to save for later! Mix together sugar, cinnamon, salt, and cayenne pepper in a medium bowl. In a separate bowl stir together the water and vanilla. Add in the almonds making sure they get wet on all sides. Transfer the drained almonds to the sugar mixture and toss until well coated. 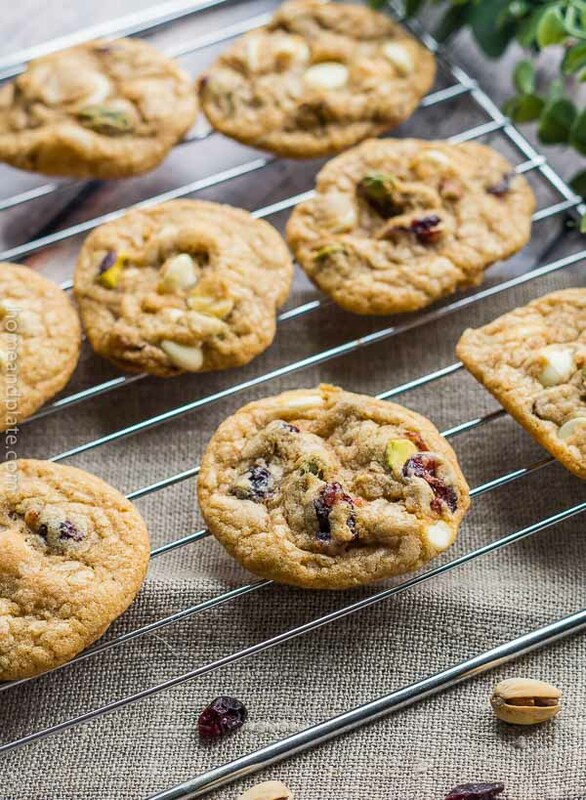 Layer the almonds on the baking sheet and bake for 20 minutes. Store the baked nuts in a zipped bag or closed container. 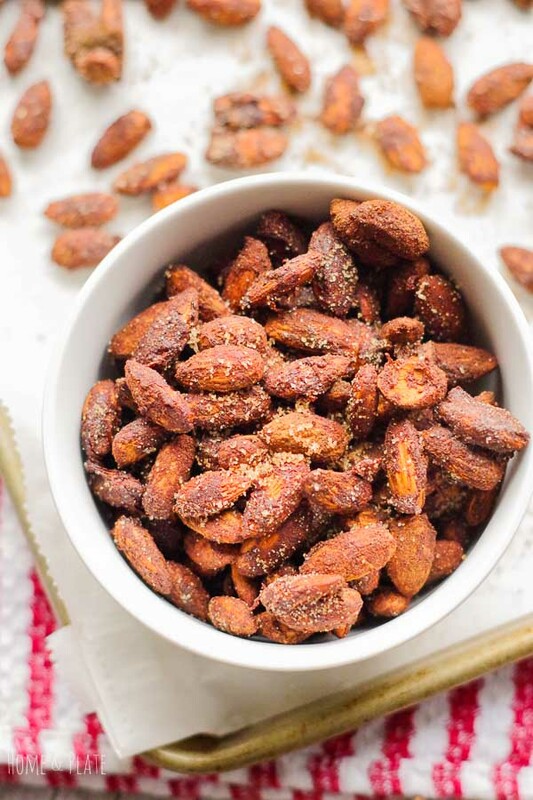 The cayenne pepper sounds like the perfect kick to these spiced nuts. My challenge is I can’t stop at just one handful — so the whole healthy factor goes out the door. Any tips on will power? I’ve actually never had churro but I love almonds. This sounds like a tasty, fun way to prepare them. Ooh, these do sound like the perfect snack. I love all those flavors. I can see these almonds be quite addictive. These would be dangerous in my house, I would not be able to stop eating them! You had me at churros. I am making these soon! YUM! Thanks for the recipe.